Anthropology and the New Cosmopolitanism inaugurates a new, situated, cosmopolitan anthropology. It examines the rise of postcolonial movements responsive to global rights movements, which espouse a politics of dignity, cultural difference, democracy, dissent and tolerance. 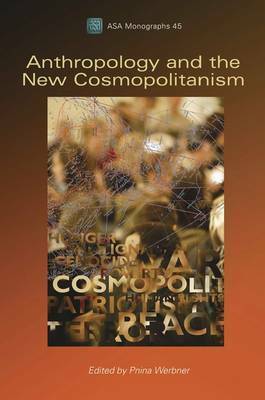 The book starts from the premise that cosmopolitanism is not, and never has been, a 'western', elitist ideal exclusively. The book's major innovation is to show the way cosmopolitans beyond the North - in Papua New Guinea, Indonesia and Malaysia, India, Africa, the Middle East and Mexico - juggle universalist commitments with roots in local cultural milieus and particular communities.Anthropology and the New Cosmopolitanism breaks new ground in theorizing the role of social anthropology as a discipline that engages with the moral, economic, legal and political transformations and dislocations of a globalizing world. It introduces the reader to key debates surrounding cosmopolitanism in the social sciences, and is written clearly and accessibly for undergraduates in anthropology and related subjects.